This product is a complete suite to trade divergences. 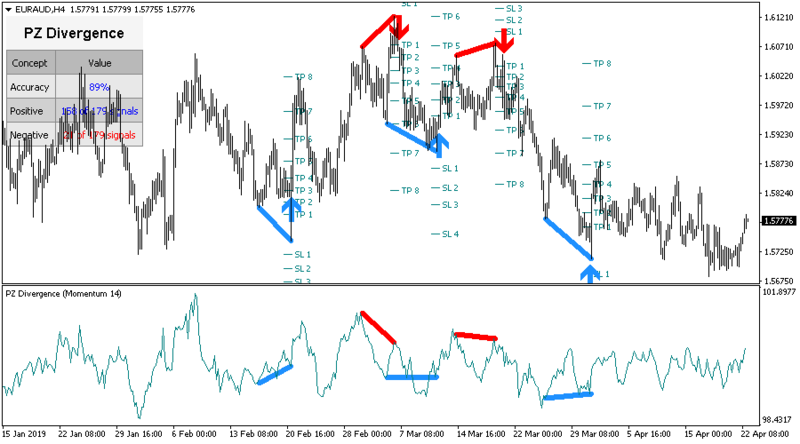 The chart indicator finds divergences and raises trading signals using breakouts. 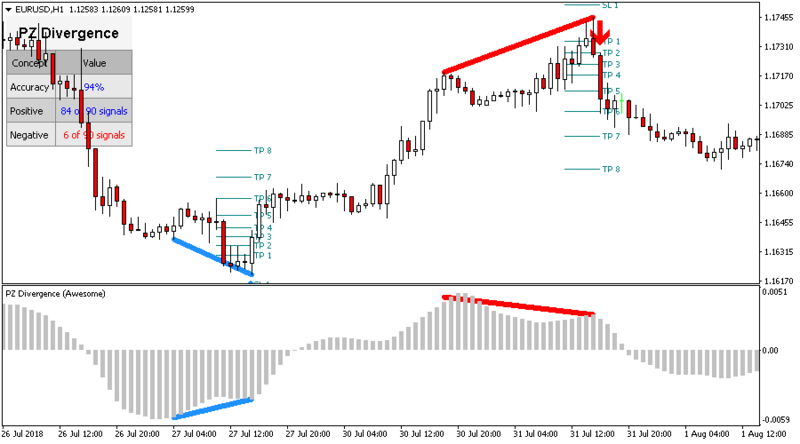 It includes a multi-symbol and multi-timeframe scanner indicator to find divergences across multiple instruments and timeframes from a single chart. 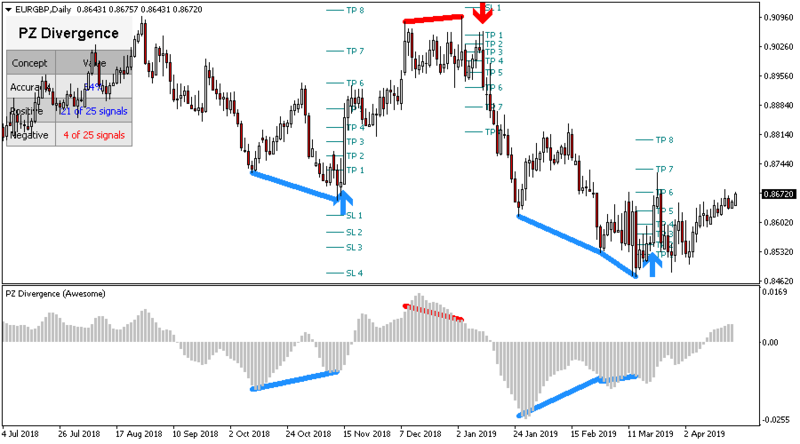 Tricky to find and scarce in frequency, divergences are one of the most reliable and profitable trading scenarios. 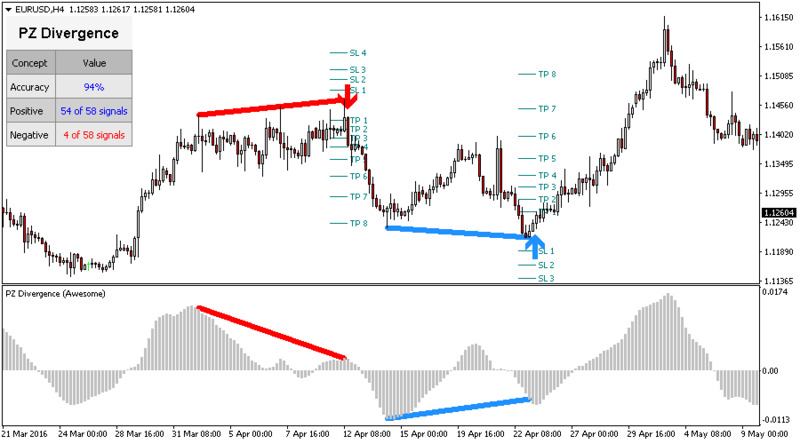 This indicator finds and scans for regular and hidden divergences automatically using your favourite oscillator. Its winning ratio is around 90%. 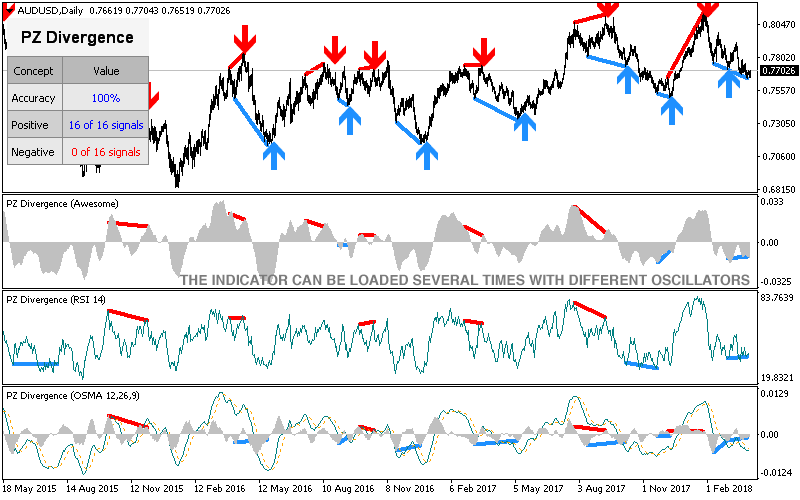 Since divergences can expand quite a bit -especially in the forex market-, this indicator implements a twist: it waits for a donchian breakout to confirm the divergence before signaling the trade. 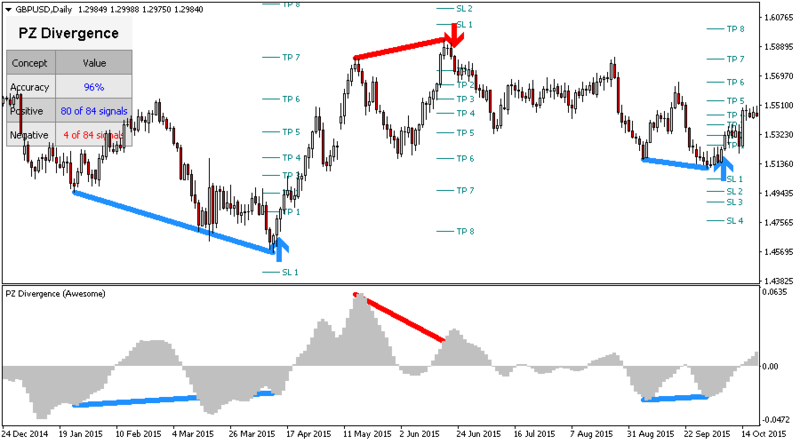 The end result is an otherwise repainting indicator with a very reliable trading signal. 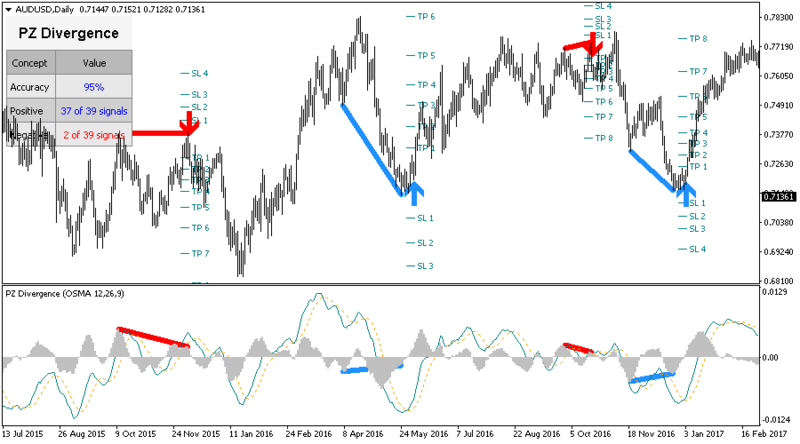 Size of the divergences to find in the chart. 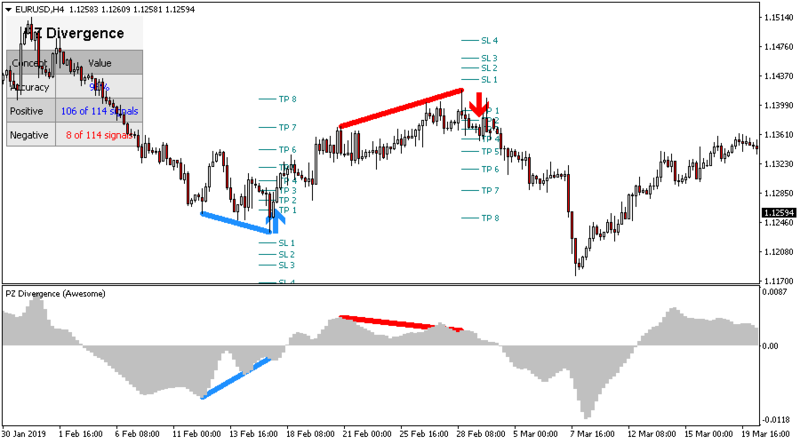 Choose the oscillator to load to the chart. Enable or disable divergence types: hidden, regular or both. Breakout period in bars for the trading signals. 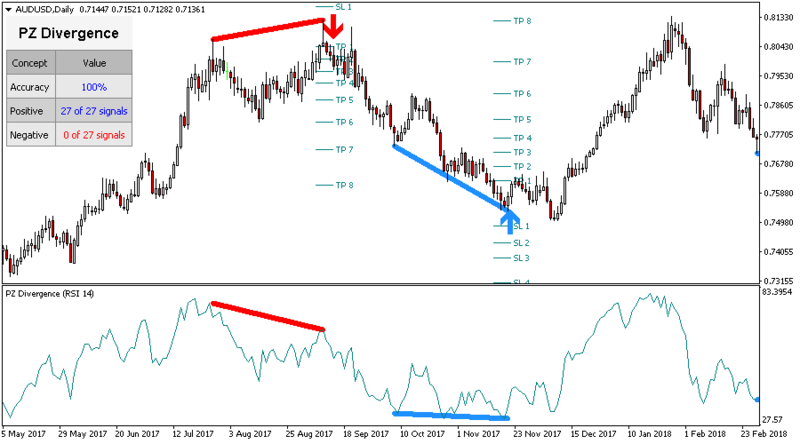 Minimum size in bars for a divergence to be displayed. 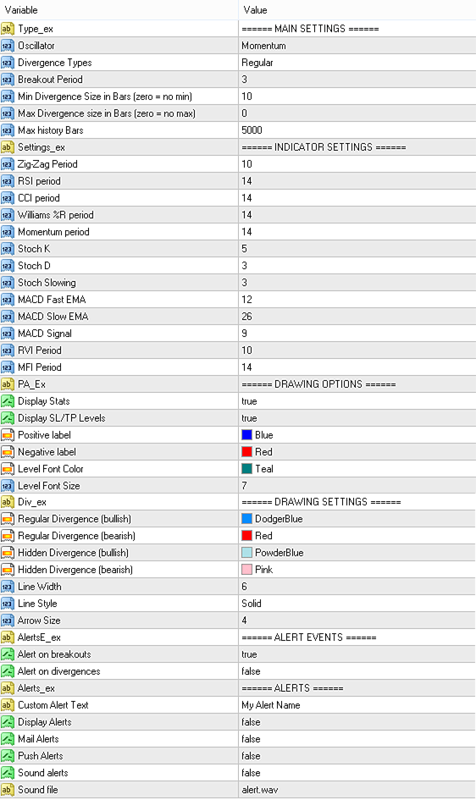 Maximum size in bars for a divergence to be displayed. Amount of bars to evaluate when the indicator is loaded. Desired indicator settings for all the oscillators and indicators involved. Choose colors and line sizes to draw divergences. 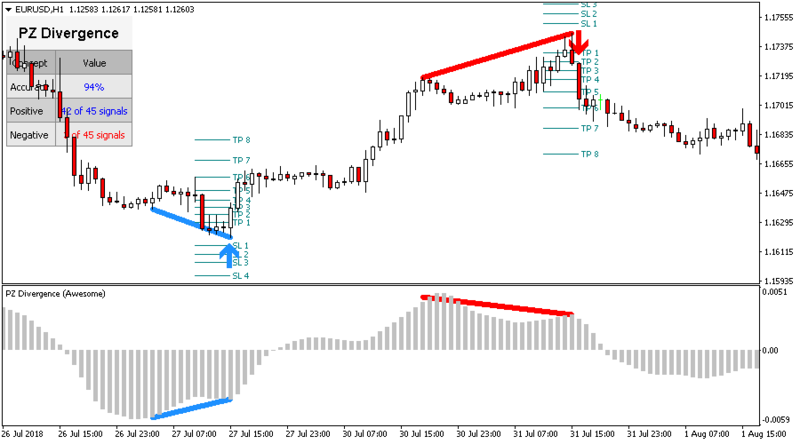 Enable or disable alerts for divergence and breakouts. Enable or disable alerts of all kinds. Yes, the indicator must repaint to accomplish its function. 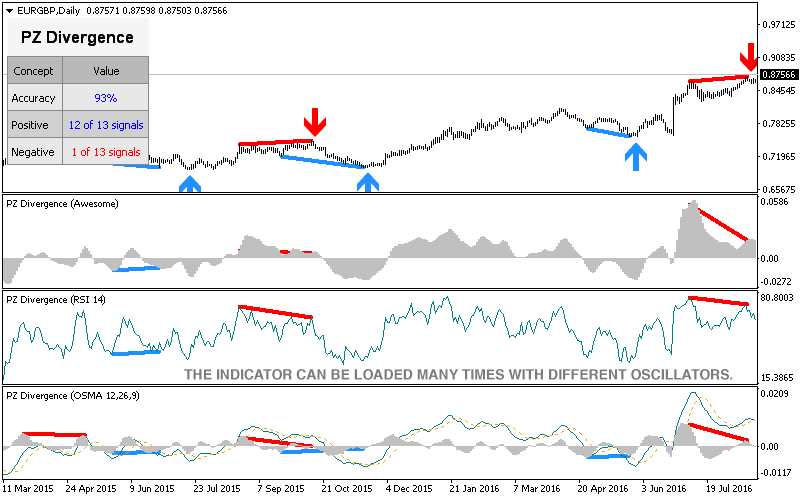 Divergences can expand and therefore the indicator must redraw to follow the divergence as it expands. However, trading signals are based on breakouts and are mostly non-repainting. What kind of alerts does the indicator raise? 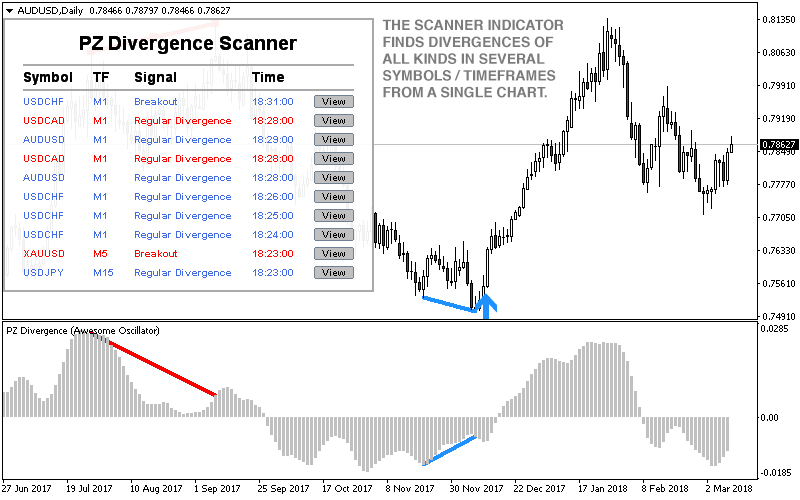 The indicator will raise an alert when a divergence is detected, and another type of alert when a breakout happens confirming a divergence. It is recommended to trade on the breakout alone, because divergences can expand. Divergence signals tend to be more accurate on the longer time frames. You get less false signals. It is recommended to trade H4 and above. 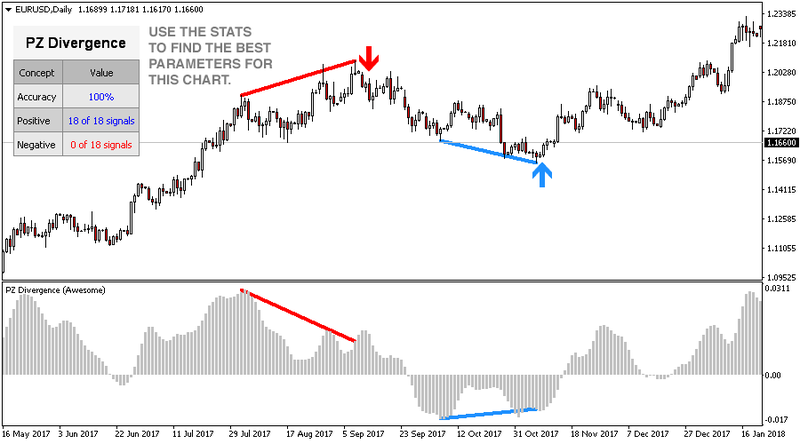 Can I load the indicator many times using different oscillators? Yes, you can. They won't interfere with each other. Can I call this indicator from an EA? No, the indicator does not have callable buffers. It only draws objects. 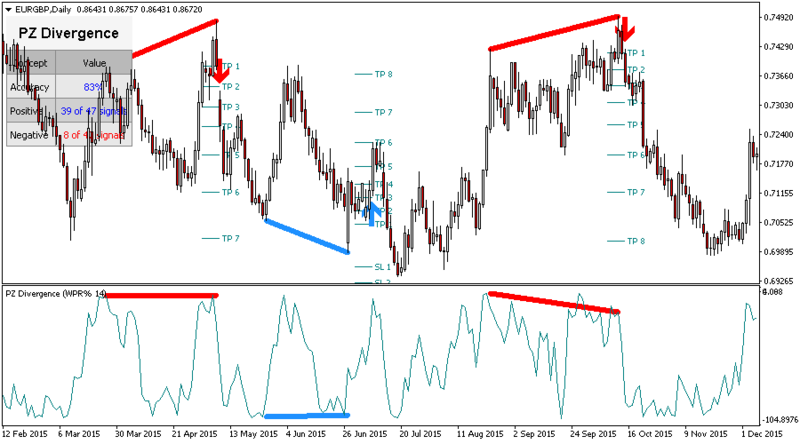 Can I find divergences in many oscillators at the same time? Only if you load the indicator many times on the same chart.